News from LMCU: Coming soon— LMCU’s $25,000 Home Makeover Giveaway! 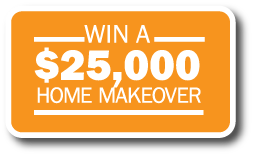 Coming soon— LMCU’s $25,000 Home Makeover Giveaway! Last year, Grandville resident Jason Stursma and his family received $25,000 from LMCU after winning the LMCU $25,000 Home Makeover Giveaway. This year, it could be you! Details coming next month on how to enter. Stay tuned!